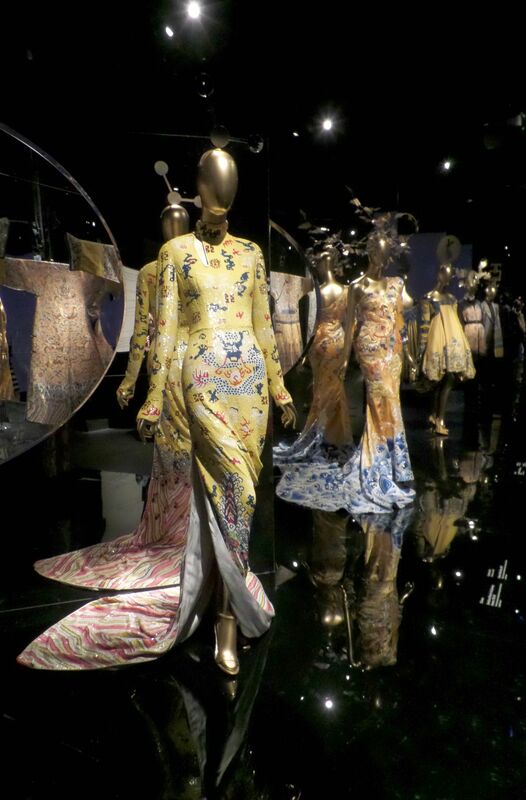 Today is the last day of what may be one of the Metropolitan Museum of Art’s most resplendent exhibits ever, also officially titled China: Through the Looking Glass. 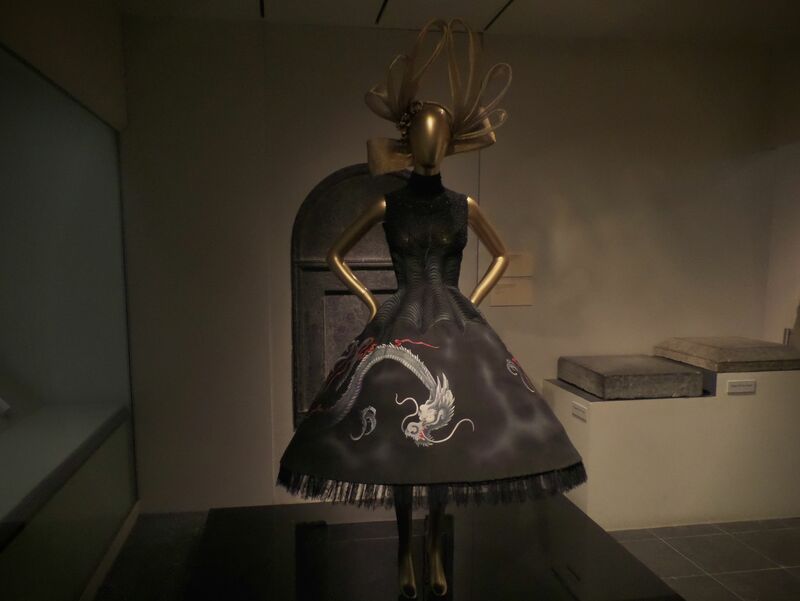 Originally set to end on August 16, the latest project from the Costume Institute (and in collaboration with the Department of Asian Art) was extended to Labor Day as visitor attendance demanded more time! 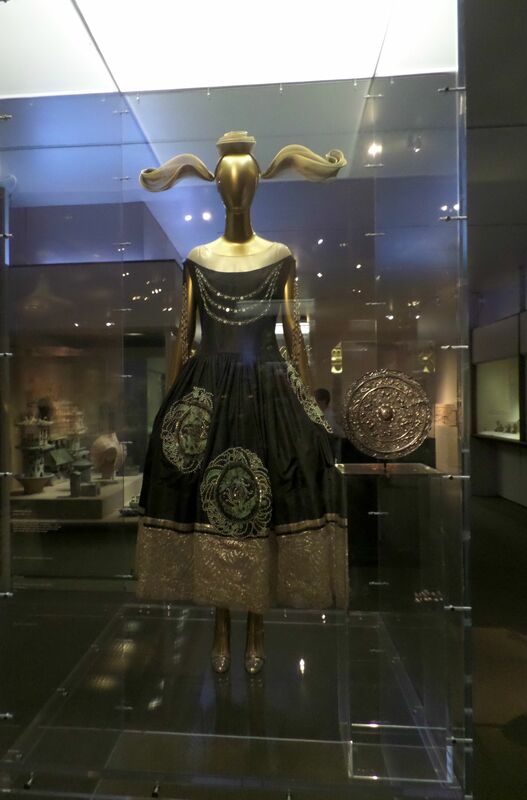 Per The Daily Beast, a total of close to 800,000 have viewed the gorgeous dresses and outfits contained inside the Met, all curated with intentions of celebrating the origin, history and influence of Eastern culture, specifically of the Asian continents and in particular, China, on Western fashion. 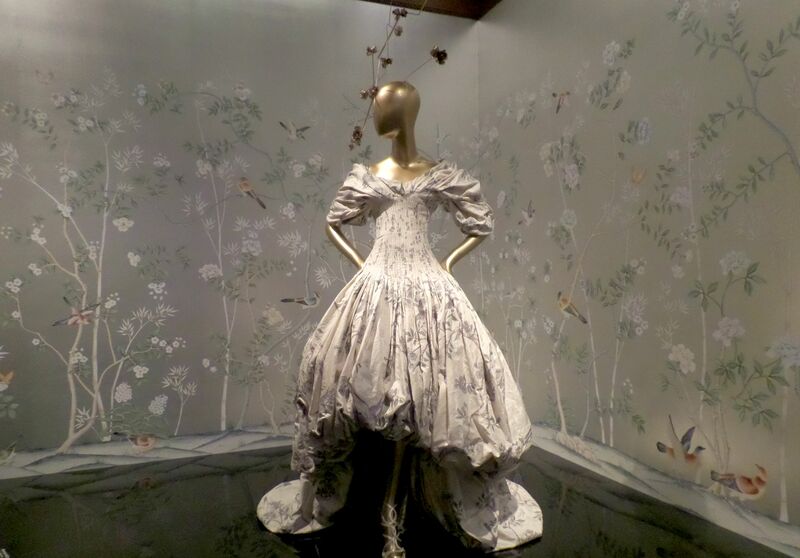 Through the Looking Glass has even surpassed the number of visitors that came to see the extravagance of Alexander McQueen: Savage Beauty, the 2011 tribute to the wonderfully bizarre and outré British designer (who sadly passed away in 2010). 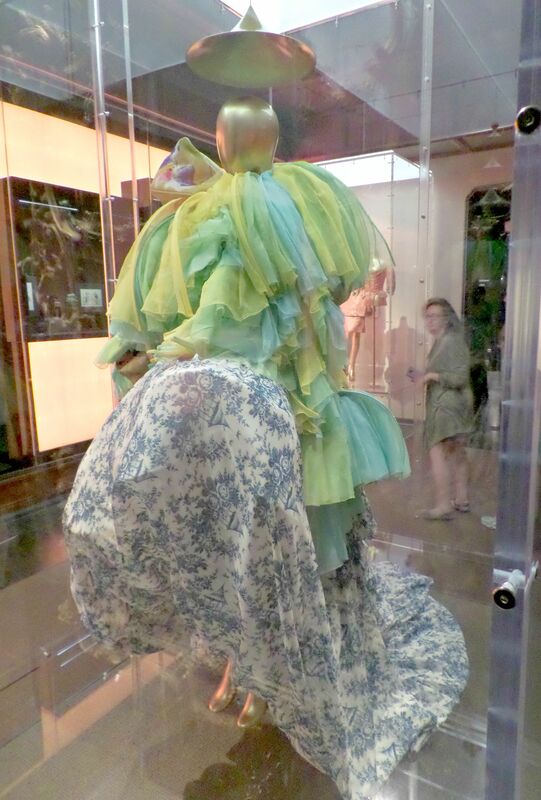 Though most of us were introduced to the commencement of Through the Looking Glass via the starry-eyed opening of the Met Gala and all the celebrities that were on the red carpet, a lot critics who saw the exhibition immediately spread the word about how it was a must-see regardless of whether you were a fashion history buff or not. Rihanna actually gave us mere mortals who weren’t at the Met Ball a peak of the kind of luxurious material to expect when she wore one of the designers featured in China, couturier Gui Pei on the carpet. The marigold yellow robe you saw her wear took Pei nearly two years to create and weighs 55 pounds! Pei is a national treasure of sorts in her native China, and lots of the biggest Chinese celebrities have chosen Pei for big nights. Her American debut was grand, courtesy of her talent and Rihanna showing up to the Ball. The Bajan singer actually stumbled upon Pei on Tumblr while researching Chinese designers. 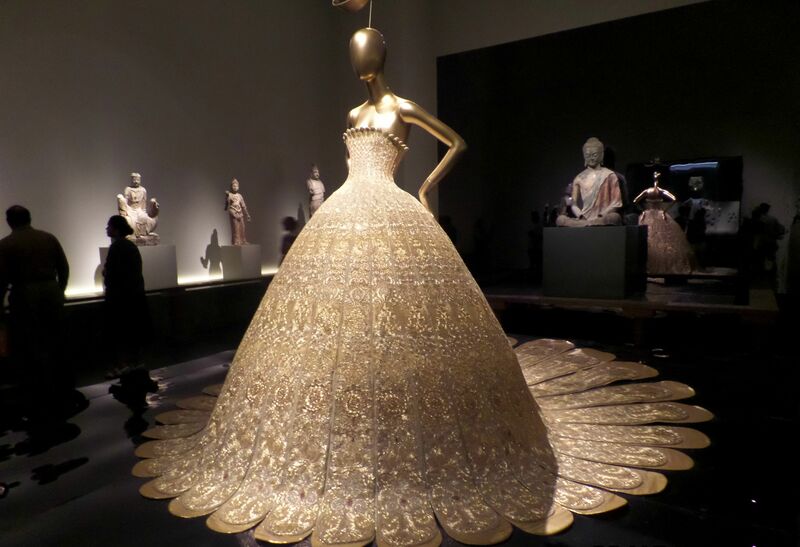 Coincidentally, Pei’s “Magnificent Gold” dress was treated as the unofficial centerpiece of China: Through the Looking Glass. Even before I personally witnessed any of the glory that awaited me, I instantly appreciated and learned so much from the introductory paragraph on how to view the exhibit. 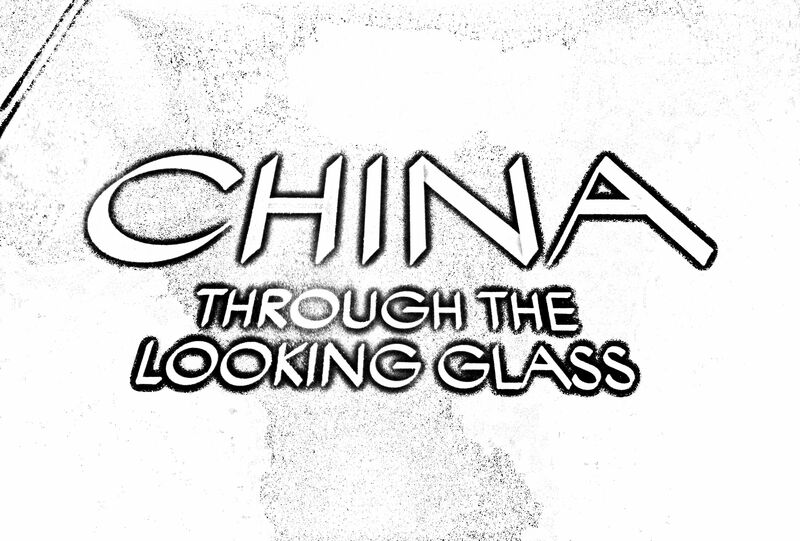 Eloquently written, Through the Looking Glass was a passion project meant to break down the Eastern influence on Western culture, as mentioned earlier. 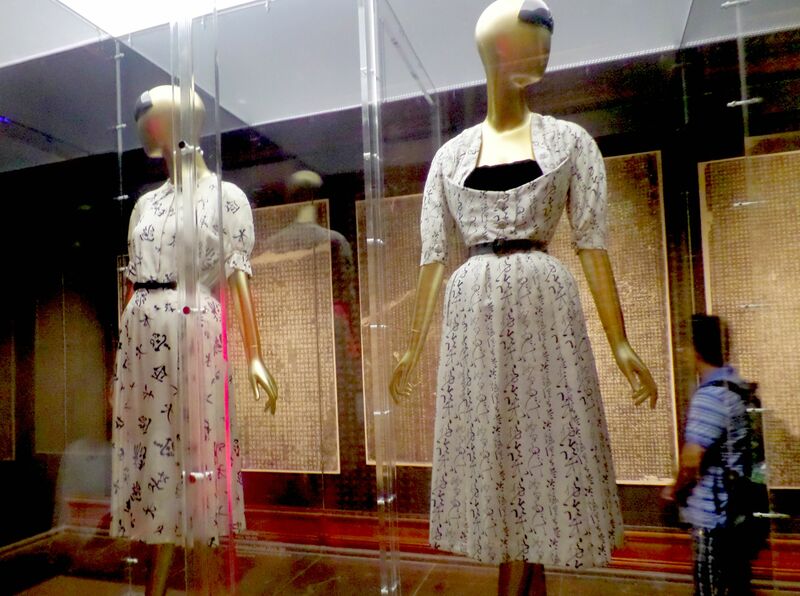 And without being too didactic about, the exhibit also sought to acknowledge the times appropriation did occur and that sometimes American and European designers gained more attention for their Chinese-entailed facsimiles than the actual Asian originators. 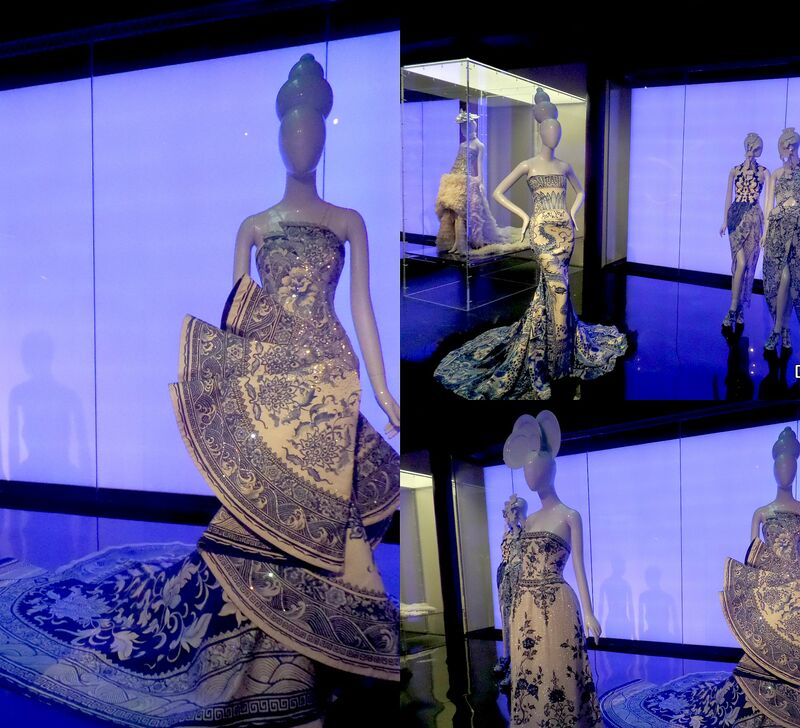 But all together, the exhibit explored how every beautiful gown, cape, sheath and jacket contributed to the impressive, long-term influence of Chinese art, film, calligraphy and literature in fashion. And the title is definitely a springboard of the childhood classic Alice Through the Looking Glass, the sequel to and also authored by Lewis Carroll’s Alice’s Adventures in Wonderland. 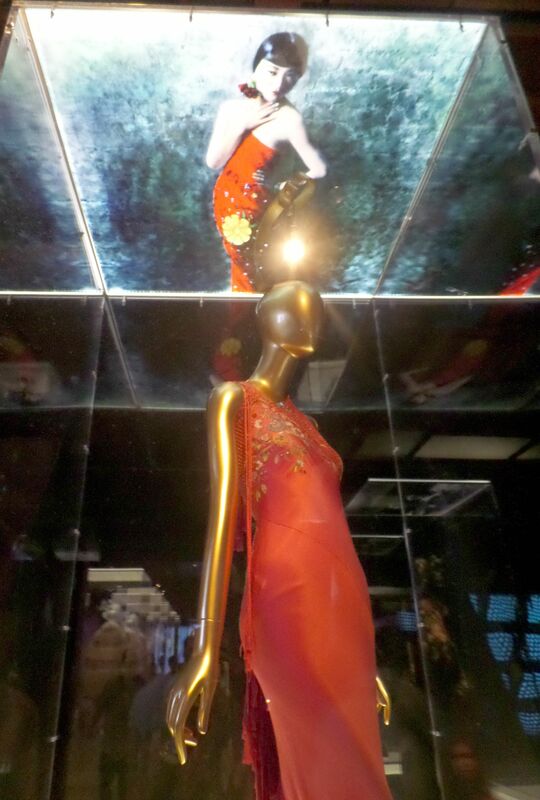 Speaking of Chinese entertainment, actress Anna May Wong had a whole aisle dedicated to her and it was pure old Hollywood glam (respectively so). Los Angeles born, and of Chinese descent, Wong became an unexpected superstar from the silent era of film up until to the 1930s, and experienced a rebirth on television in the 1950s. She went through the same, similar BS as most groundbreaking talents of color had and suffered racism from the Hollywood elite or was given roles that in latter day modern cinephile view were of the “Dragon Lady” or docile Asian woman stereotype. But Wong mattered, for she was an Asian presence on mainly white-washed silver screens. Today she is viewed as iconic in both film and fashion. Designers-wise, they were (previously) unknown to American eyes Chinese and Asian designers on display, but also lots of the usual favorites of fashion to the left of Russia, such as John Galliano for Dior, Valentino, Tom Ford for Gucci and YSL, Rodarte, McQueen, Givenchy, Chanel and selected pieces from Yves Saint Laurent’s unforgettable Orientalism, or “Chinoiserie” era in the 1970s, helmed by the namesake icon. 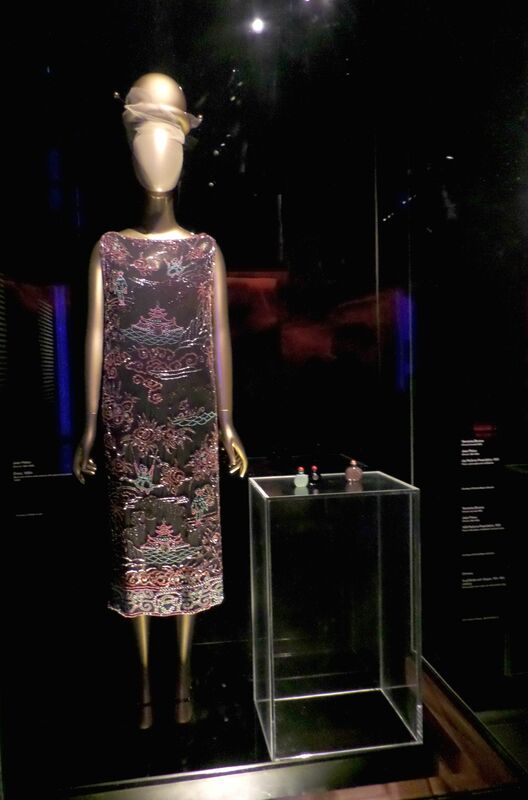 While praised, the collection from YSL around this time were hit with slight accusations of fetishizing the Asian culture. 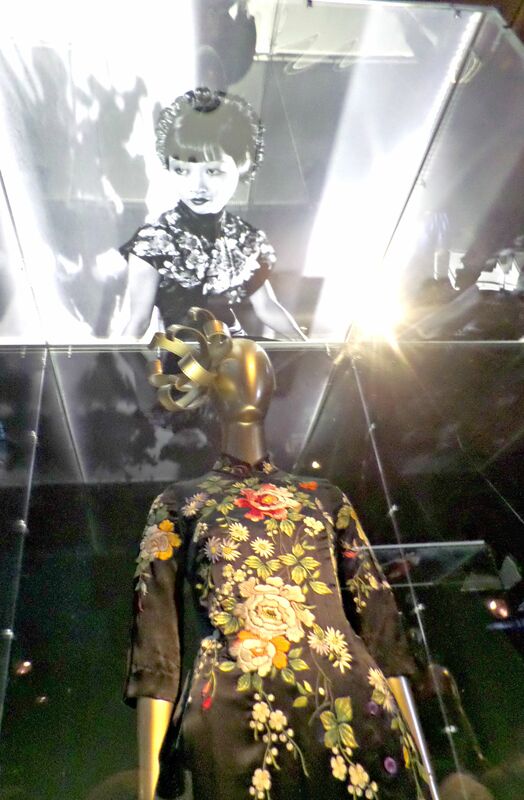 But there was something also highly rock-n-roll and rebellious about YSL’s approach to incorporating Asian and oriental accents to his looks. 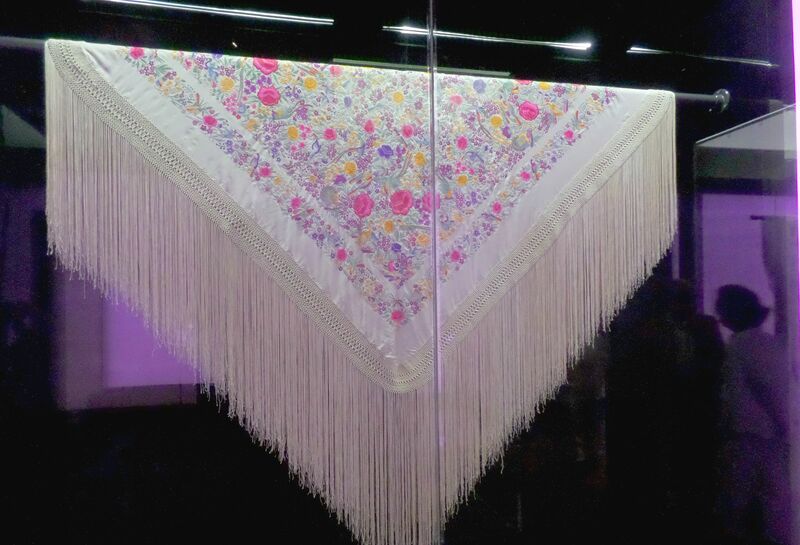 And they were just as thrilling to view in 2015 as they were possibly to wear in 1978. 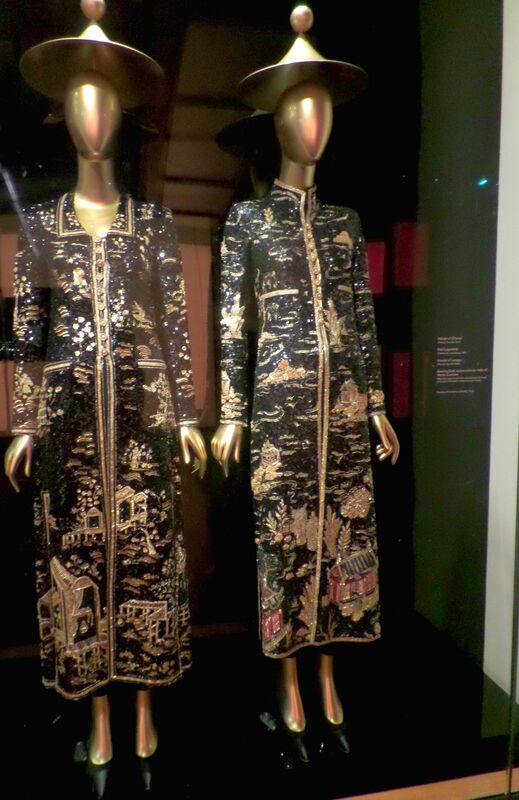 China also showed how the Eastern influence easily intermixed with other “genres” or moods of fashion such as gothicism, the floral aesthetic (Chinse culture very much adore and uphold the symbolism of the lotus flower), the upper crust of the East Coast, pop art of the 1960s and ’70s and the Victorian age. Absolutely stunning and inspiring, this one MET exhibit really outdid itself in its clarity of the subject and respect and love towards its subject. 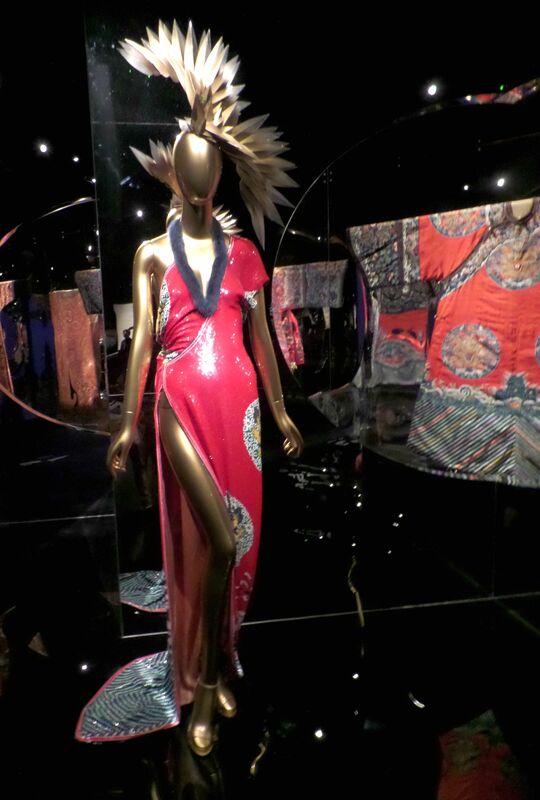 I actually felt myself floored at times by China: Through the Looking Glass. Like that room with the porcelain impressed blue and white dresses? 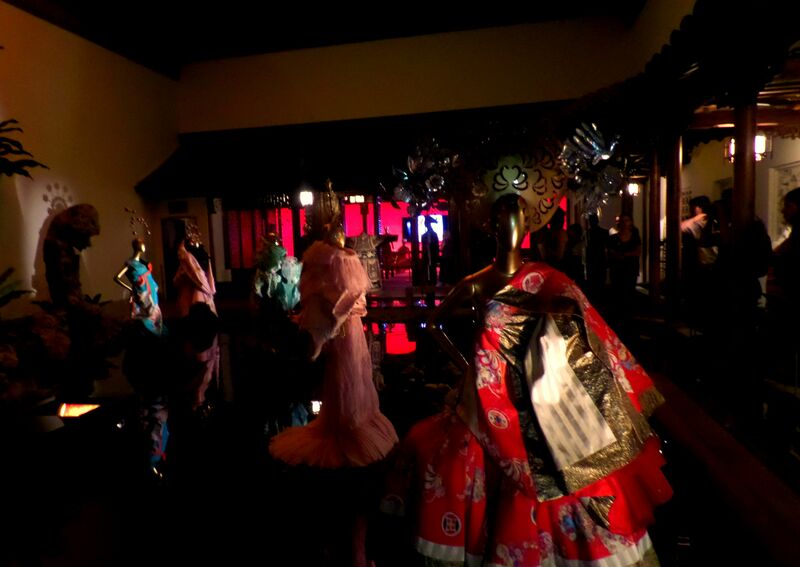 And the courtyard with the gowns expertly standing within a moon, galactic atmospheric setting? I wasn’t ready but my camera was! 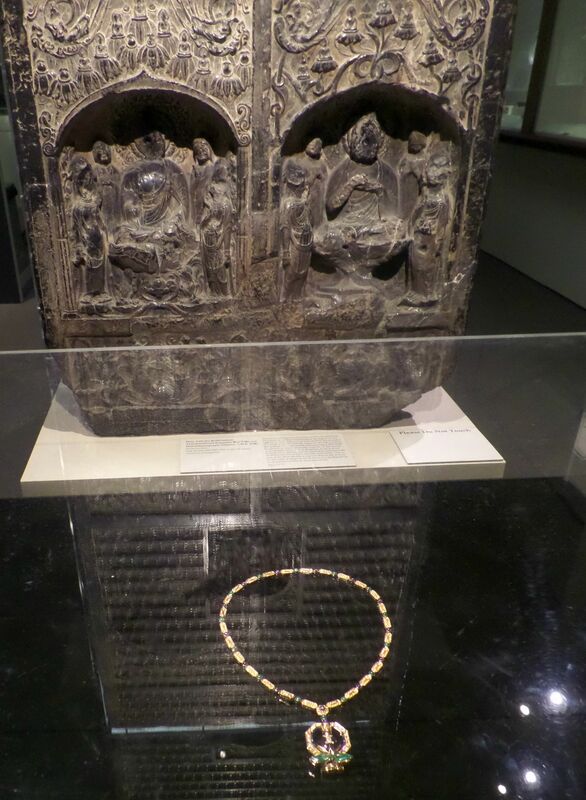 The presentation did exactly, especially in the realm of a museum, sought to do: remember and inspire. A one word review for this fashion show? Brava.